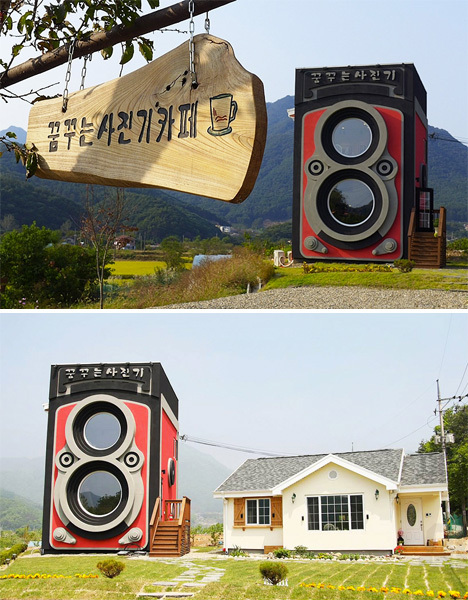 A giant two-story camera rises from the grass beside an ordinary suburban home in the hills of South Korea. 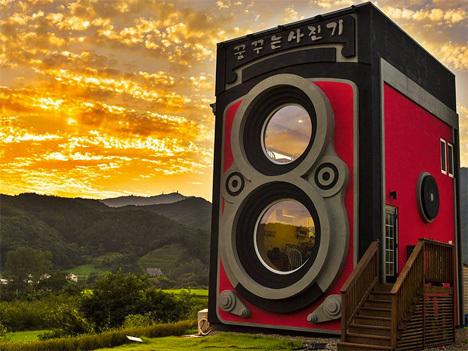 The Dreamy Camera Cafe is housed in a re-creation of a vintage Rolleiflex, featuring two lens-like oversized windows offering panoramic views of the surrounding countryside. 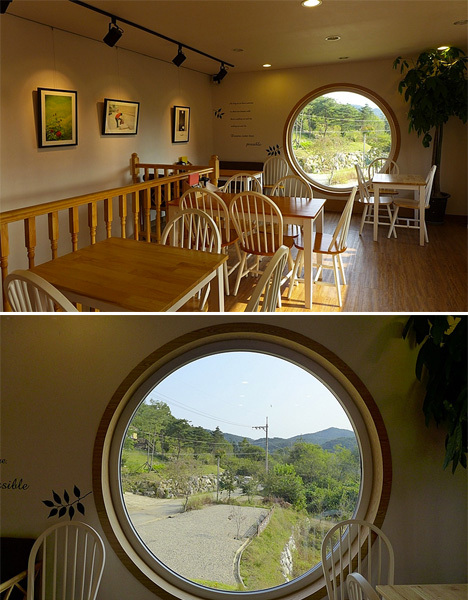 The cafe was built by a former army helicopter pilot with a passion for photography and vintage cameras, who lives in the house next door with his family. 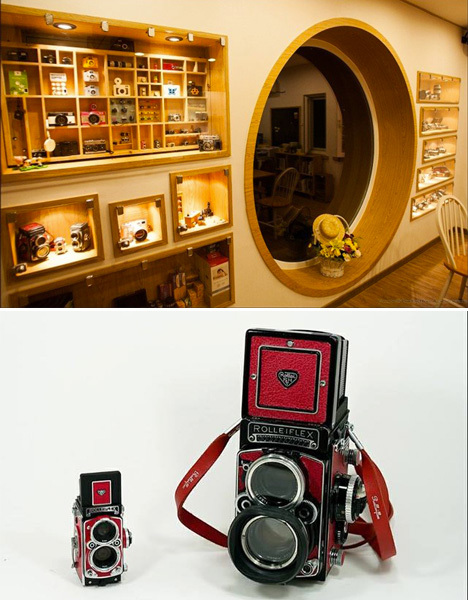 A range of miniature and toy cameras are displayed on the first floor, with a collection of photographs tacked on the walls upstairs. The cafe even has paper towel holders shaped like film canisters. 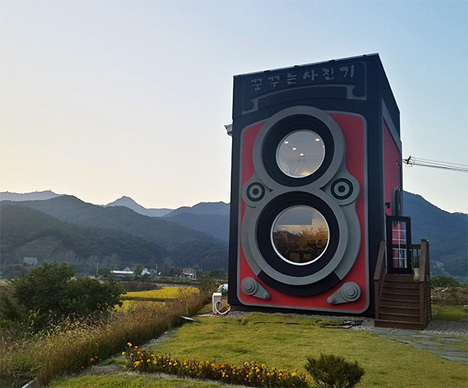 It may be unusual, but the Dreamy Camera Cafe is hardly the first building shaped like a giant object – there’s a 40-foot-tall milk bottle building among others modeled after food items, and even a house shaped like a toilet.